With the increasing demand for the construction equipment SAMIL has become the no.1 solution provider for both public and private enterprises as demand of construction equipments is highly lead by the enterprises investing in areas like road construction, and maintenance, ports, power plants, telecommunication sector, urban infrastructural development etc. Excavator is the major construction equipment in demand which is available in different types and varieties. 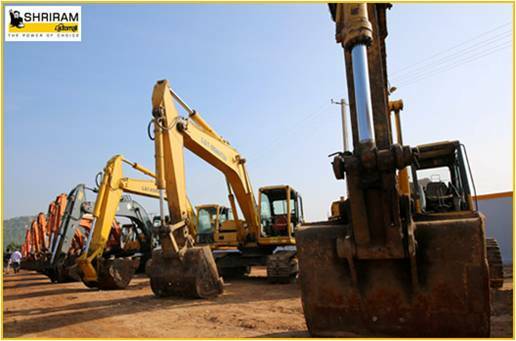 Some of different types of excavators are a loader backhoe, midi excavator bucket wheel excavator, & compact excavator. The loader backhoe is a tractor with a front shovel bucket & a small backhoe located in the back of the machine. JCB India is a market leader with 68% in Backhoe loader. CNH is following number two with 9% market share. However, all established players have lost their market share. CNH is the market leader in compactor with 29% market share. Due to its product position and performance, their market share is increasing consistently. Telcon is the market leader in an excavator. It is having JV with Hitachi. However Telcon is the market leader but Hyundai, Volvo, Kobelco has increased their market share. Price remains the top criteria when making purchasing decision over product performance as construction equipment doesn’t come easy on your pocket. Thereby Shriram Automall India Limited has brought used construction equipment at optimal prices. As company manages to reduce the equipment budget by providing good quality used equipments at minimal rates to the enterprises in a structured way while paving the way for them to clear the challenges they face which lead to delay in their projects. So if you are planning to purchase an excavator in limited resources, you can simply connect with Shriram Automall, who have a wide variety used construction equipment and vehicles. SAMIL will provide you with wide range of used construction machinery at affordable rates along with the Parking, Insurance, and Finance facilities. You can also click the link below for easy registration. 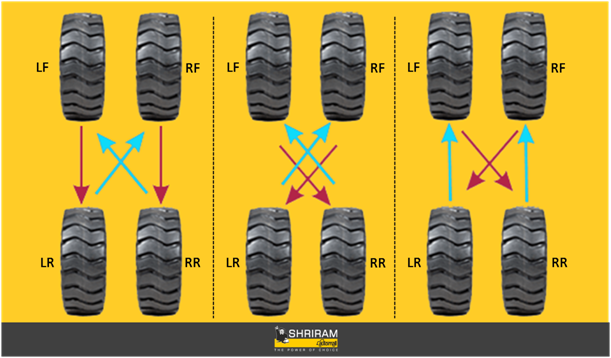 Shriram Automall India Limited (SAMIL) Is India’s Most Trusted Platform for Exchange of Used Vehicles & Equipment in a Transparent & Organized Manner. Company through its remarkably innovative services has created a renowned name for itself along with 75 Automalls in every nook and corner of the country. Among 75 well established Automalls, Vadodara Automall was the 2nd Facility inaugurated by the company which is now going to complete 7 Business Years on 30th April' 2018. Automall facility is sprawling in 3.0 acres of land with 10Ft Compound Wall for overall security of the vehicles. By inaugurating the facility company not only resolved the used asset requirements of customers but also the parking issues in the area as company offers the 24/7 secured yard for parking. Company is India’s only complete and organized service provider for transaction of all types of pre-owned vehicles and equipment. With highly skilled staff, well-equipped yard, prompt valuation service, easy finance option and documentation facilities, customers are bound to have a delightful experience of doing business with it. 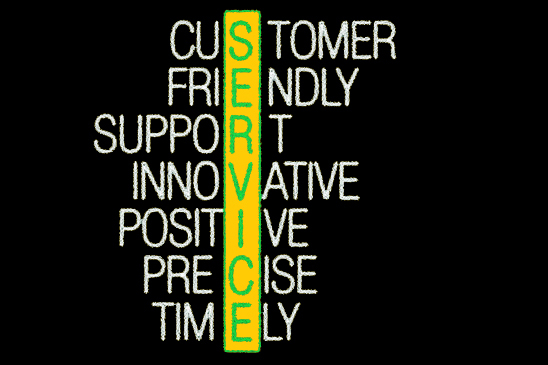 SAMIL has always walked an extra mile to add a smile on its customer faces. Thereby Automall also assists the traders with financing and insurance options, as well as provide services for repair & refurbishment of the vehicles. As an add-on facility, rest rooms for travel-fatigued truck drivers and cleaners are also offered. If you are an interested buyer or a seller of a used automotive or equipment, Shriram Automall is the trusted name for optimal and convenient transaction. Visit the Vadodara Automall, on Anniversary Bidding Event, and take home desired used vehicle or equipment of your choice. You can also participate in the Live Bidding Event through “Desktop Bidding” facility and “MySAMIL Mobile App” or simply click the link below for easy registration. In FY 2017-18, sales of SUVs grew 7 times faster than that of the small cars and sedans. The trend is being fuelled by new models and changing lifestyles. While sedans and small cars dealt with a development of 3% in the previous fiscal, the sales number of off-roaders grew 21%, the quickest in the individual suburbanite segment, which additionally incorporates scooters (20% development) and bikes (14%). Additionally, the share of SUVs in general passenger vehicle segment rose to about 30% in FY 2017-18, contrasted with 14% recorded toward the finish of March 2010. As per the numbers discharged by the Society of Indian Automobile Manufacturers (SIAM), 9.2 lakh SUVs were sold in 2017-18 against 7.6 lakh units in the earlier year. The non-SUV section (sedans and compact cars), while representing bigger volumes, has been close dormant as far as development in the segment remained at 21.7 lakh units in 2017-18 against 21 lakh units in 2016-17. 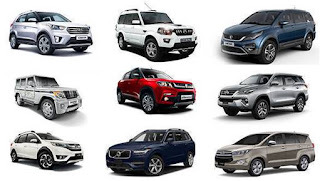 According to the market analysis, this trend is only going to go up and get stronger as SUVs will continue to remain favorite for Indian buyers, as SUVs are naturally suited for the Indian geography with a large road network. Their strong body architecture, higher seating position and relatively-larger cabin space make them highly desirable with buyers and thereby companies will keep driving in new models in the market. Affordability has also led to the rise in sales of SUVs, though they have always been highly aspirational. Earlier they were very expensive. With the entry of affordable options, people have really fallen for them. While affordability is driving in volumes for SUVs, the trend is equally strong in premium and luxury categories. With increase in demand for SUVs in the market, used automotive industry as well has witnessed the robust demand in the same segment. Shriram Automall India Limited (SAMIL), being the leading name in the country for used vehicle and equipment transaction, anticipate the customer demand and offers most reliable used SUVs through remarkably convenient and transparent bidding platforms. So, what are you waiting for? Click the link below to register yourself. Internet today is in everything and is everywhere: being known as a machine learning set or artificial intelligence, has made internet the center around which all enterprises & world works today. “Connected” vehicles as well are going to embrace all of these new-age technologies & are going to change the way how businesses and life runs today. The technological aspects of a connected car will involve multiple devices inside the car which will connect with the computing and application servers, helping in computing power to access real time information and data. Global connected automobile market alone is expected to grow from 5.1 Million units in 2015 to 37.7 Million units by 2022, at a CAGR of 35.54%. India too is emerging as a huge market for connected automobiles. Currently, less than 2 percent of all automobiles sold in India have some basic form of connectivity. But as we have seen in the past with smart phones, adoption of latest technology is on the rise in India and it is certain that the adoption of connected vehicles will grow exponentially in the next few years. 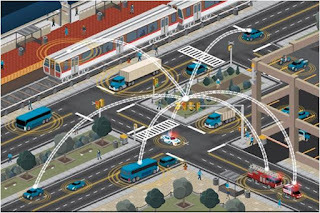 What Connected Vehicles Has To Offer? With connected vehicles not exclusively will drivers have a reasonable motivation for driving yet in addition insurance agencies will offer better premiums for the individuals who enable their driving propensities to be observed. 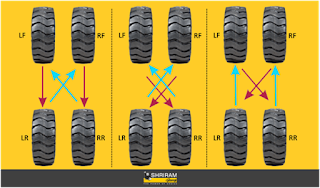 Drivers can utilize this information to enhance their driving. This will diminish breakdowns and guarantee bother free driving alongside enhanced mileage bringing about investment funds. Well maintained vehicles would also emit fewer pollutants. The capability of information created by connected vehicles, expresses that a solitary associated vehicle can possibly produce more income than 10 traditional non-associated vehicles. In the following couple of years, auto OEMs will be appraised in view of the units of information created and not units of vehicles sold. It is anticipated that connected vehicles will have the capacity to influence savvy proposals on which to place to visit straightaway and what assignment to take up after. 5G will empower connected vehicles to send and get messages speedier. It will likewise empower more situational mindfulness and give cautioning in the event that any barrier or deterrents were to show up out and about giving the driver more opportunity to respond. From the good old days, OEMs are conveying a specific level of computerization. Independent stopping, impact caution and security frameworks that back off vehicles or issue notices to drivers or even dial crisis numbers are as of now part of standard car account. Connected vehicles will transform into content conveyance stages soon accordingly opening a radical new market for infotainment suppliers. Connected vehicles are without a doubt the most energizing idea fueled. In the years ahead, this fragment will witness more way breaking advancements and rupture new personalization boondocks. The conceivable outcomes are to be sure unfathomable however inside the ability to envision. For Acquisition and Disposal of used vehicles and equipment, Shriram Automall India Limited (SAMIL) offers platforms like Physical Bidding, Online Bidding through CarTrade Exchange, and Private Treaty. For customer convenience, company even offers "My SAMIL Mobile App" and "Desktop Bidding Facility" for live bidding availability from anywhere and everywhere. Truly, what you are going to read is to be sure valid. There are progressed non-conventional fuels in the market that can function as the Alternative fuel for your vehicle. These fuels are derived from sources other than petroleum which is very costly in view of its rare nature. As we know, that petroleum as a fuel wouldn't keep going forever, so we should better begin moving to alternate fuels as quickly as time permits, with the goal that we could enable petroleum to last somewhat more. Alternate fuels are delivered locally, along these lines decreasing our reliance on imported oil; some of numerous alternate fuels are gotten from sustainable sources, in this way making it less expensive, efficient and reasonable. Not only that, they even deliver less contamination when contrasted with gas or diesel, which makes them highly safe for environment too. 1. Natural gas: It is a petroleum derivative that is abundant in U.S. 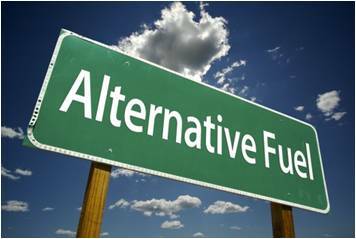 It is the elective fuel which delivers less air poisons and GHGs (Green House Gases) than gasoline. 3. Biodiesel: it is the diesel got from vegetable oils and animal fats. It for the most part delivers less air toxins than petroleum based diesel and is utilized by various biodiesel devotees who jump at the chance to make the fuel for their automotive at home. 4. Hydrogen: This fuel can be created locally from petroleum derivatives, (for example, coal), atomic power, or sustainable assets, for example, hydropower. Vehicles controlled by unadulterated hydrogen produce no hurtful air toxins. 5. Propane (LPG): It is a locally plenteous petroleum derivative which is found between layers of underground rocks. It creates less hurtful air contaminations and GHGs than fuel. 6. Electricity: Now individuals can control their vehicles with power, as it is created locally from an assortment of sources, for example, coal, flammable gas, atomic power, and sustainable assets. Fueling vehicles with power causes no tailpipe discharges, however creating power can deliver poisons and ozone harming substances. Along these lines, allows we too be somewhat more economical and practical, and change our vehicles to Alternative fuels soon, to have better contamination free Environment in not so distant future. So change soon to elective powers with your own new used vehicles and equipment available in every make and model. Visit your closest Automall or download "MySAMIL Mobile App" through our latest inventory. You can likewise click the link underneath to just enlist yourself. Indian Automotive Industry - one of the largest industries in the world, after the most challenging Financial Year 2018, ended the fiscal at the positive note. The industry produced an aggregate 29,075,605 units of vehicles including Passenger Vehicles, Commercial Vehicles, Three Wheelers, Two Wheelers and Quadricycle in April-March 2018 as against 25,330,967 in April-March 2017, enlisting a development of 14.78% over a similar period year ago. In FY-18, sales of Passenger Vehicles sales grew by 7.89% in April-March 2018 over a similar period a year ago. Inside the Passenger Vehicles Segment - Passenger Cars, Utility Vehicle and Vans developed by 3.33%, 20.97% and 5.78% individually in April-March 2018 over a similar period a year ago. The Commercial Vehicles segment demand in the market grew by 19.94% in April-March 2018 when contrasted with a similar period a year ago. Medium and Heavy Commercial Vehicles (M&HCVs) developed by 12.48% and Light Commercial Vehicles developed by 25.42% in April-March 2018 over a similar period a year ago. Three Wheelers sales grew by 24.19% in April-March 2018 over a similar period a year ago. Inside the Three Wheelers - Passenger Carrier and Goods Carrier sales enlisted a development of 28.65% and 7.83% separately in April-March 2018 over April-March 2017. Two Wheelers deals enlisted a growth at 14.80% in April-March 2018 over April-March 2017. Inside the Two Wheelers section, Scooters and Motorcycles developed by 19.90% and 13.69% separately, while Mopeds declined by ( - ) 3.48% in April-March 2018 over April-March 2017. Exports also played a crucial role in upward trend for automotive Industry in FY 2017-18. As in period of April-March 2018, overall automobile exports increased by 16.12%. Two and Three Wheelers Segments enlisted a growth of 20.29% and 40.13% individually, while Passenger Vehicles and Commercial Vehicles declined by (- )1.51% and (- ) 10.53% separately in April-March 2018 over a similar period a year ago. With increase in demand for new automotives in the market, used automotive industry as well has witnessed the robust demand in the same segment. Shriram Automall India Limited (SAMIL), being the leading name in the country for used vehicle and equipment transaction, anticipates the customer demand and offers most reliable used vehicles and equipment through remarkably convenient and transparent bidding platforms. Click the link below to register yourself. Chennai is the capital of the Indian state of Tamil Nadu. Located on the Coromandel Coast off the Bay of Bengal, it is one of the biggest cultural, economic and educational centers in South India. According to the 2011 Indian census, it is the sixth-largest city and fourth-most populous urban agglomeration in India, thereby receiving the major demand for passenger vehicles. Also, agriculture in the area is considered to be very good, making city receive robust demand for agricultural equipment and heavy/ medium commercial vehicles (H&MCV) as e-commerce is the main work force in the area. Shriram Automall India Limited (SAMIL) being India’s Most Trusted Platform for Exchange of Used Vehicles & Equipment in an Organized & Transparent Manner, understands the demand and thereby while anticipating the requirement of people in and nearby areas is coming with its 75th Automall facility in the city. Turning out to be a privilege Chennai is one of the cities in India that is connected by the Golden Quadrilateral system of National Highways. It is connected to other Indian cities by four major National Highways (NH) that originate in the city, keeping that in mind SAMIL has very strategically located its Automall facility in Kothiyambakkam Village, Poonamalle - Thiruvallur High Road, Chennai, Tamil Nadu, Pincode – 600124, so that every requirement in and nearby areas could be fulfilled through the most innovative and optimal bidding platforms in the country. Throughout the years SAMIL's bidding platforms have turned into industry's most discussed advancement. 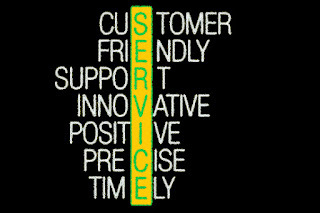 There is nothing more enthusiastic than attending company's bidding events to acquire or dispose desired used vehicles and equipment, as company gains a leading edge over its rivals for executing, the most extensive line up of used vehicles and equipment of all make and models with committed group for each portion. If you are an interested buyer or a seller of a used automotive or equipment, Shriram Automall (Chennai) is going to be a trusted name for optimal and convenient transactions just like its other 74 Automalls and 150+ bidding locations. Visit the Chennai Automall, on 18th April'2018 (Inauguration Day), and participate in the special bidding event to take home desired used asset of your choice. You can also participate in the Live Bidding event from the comfort of your home through “Desktop Bidding Facility” & “My SAMIL Mobile App” or simply click the link below for easy registration with just a click. 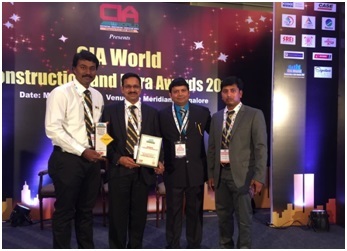 Shriram Automall India Limited (SAMIL), India’s Largest Physical & Online platform for transactions of pre-owned vehicles & equipment has been awarded as the ‘Best Service Provider in pre-owned Commercial Vehicles’ by CIA World Construction & Infra Awards 2018 organized by CIA World Magazine on 31st March 2018 at Le Meridian, Bangalore. The company has been rightly coveted as the winner because of the fact that it has transacted the largest number of pre-owned vehicles & equipment in an organized pattern through its physical bidding events. In a span of just seven years SAMIL has sold over 3,00,000+ pre-owned trucks of every size and category. Speaking on the overall performance the company in FY 2017-18 has received tremendous growth of over 30% when compared to FY 2016-17. Through its time trusted bidding platforms, SAMIL has managed to transact over 1,50,000 vehicles & equipment churning out revenue of over Rs. 2300 Crs. Now as a combined entity SAMIL aims as growing at 100% and selling pre-owned vehicles & equipment of over Rs. 4000 Crs in FY 2018-19.